Today we had a very skilful display of musicianship from Mr Stott. 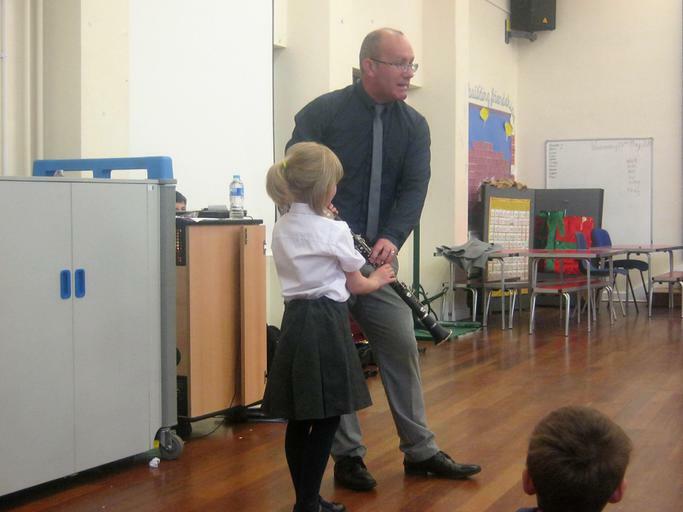 Next year, Mr Stott will be teaching some of our children to play various musical instruments. 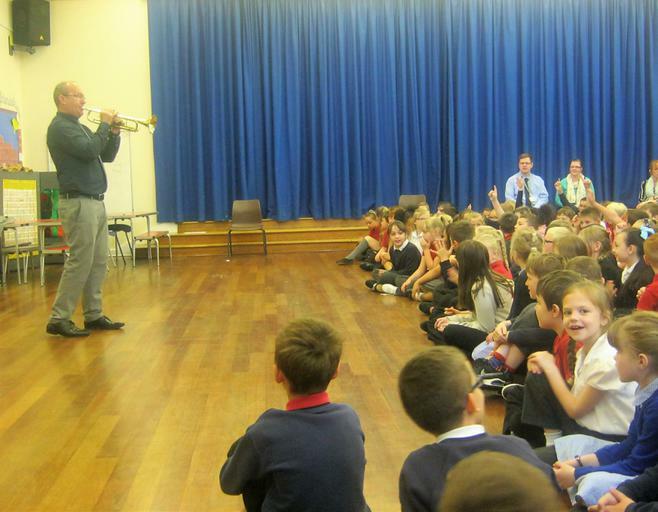 Today he demonstrated the cornet, trumpet, clarinet and the flute by playing some very well known tunes. Children will not have to pay for the instruments or the lessons for the whole of next year. However, what they will have to do is practise as much as possible!